Knox Museum needs to raise between $25,000 and $50,000 by May 1, 2017. Why should you care? Montpelier is recognized by the National Register of Historic Places as worthy of protection, and your support. 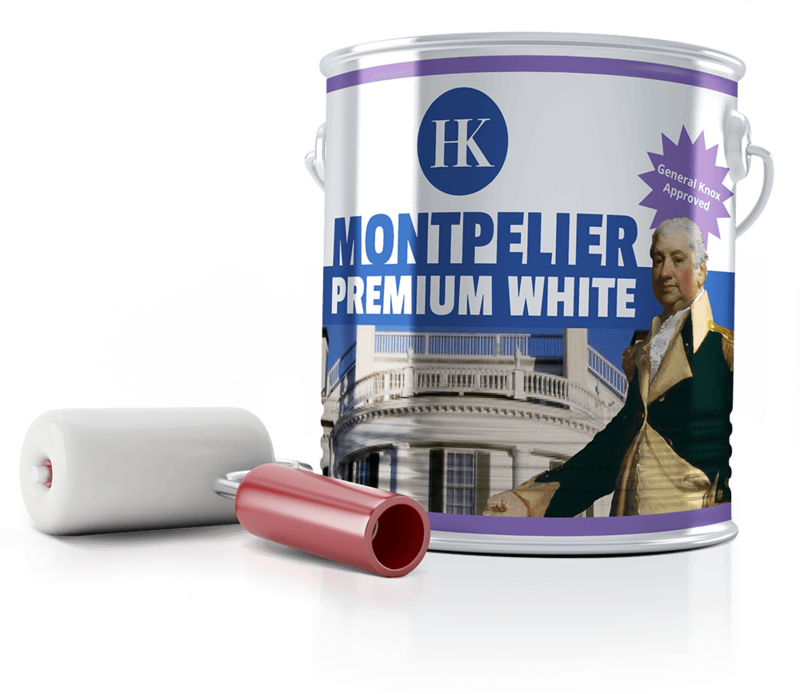 If you believe that keeping the Montpelier landmark in decent repair benefits not just Knox Museum’s ability to survive, but also protects the legacy of patriot, veteran, statesman, and local resident Henry Knox, and builds pride in our community, strengthens the cultural landscapes that sustain us, and ensures that our children will remember where they came from, then please, join the Knox Paint Brigade! Knox Museum’s ability to sustain and survive depends upon raising money through rentals and weddings. Admissions, membership dues, shop proceeds, and annual appeal donations just don’t cut it. Right now painting Montpelier is a priority so we can put our best face forward, and get some rentals on the books for 2017. There are currently two potential options on the table for scraping and painting Montpelier come Spring: the first is predicated on a possible, but nowhere yet near confirmed, source of volunteer labor; the second is a quote received from a professional and reputable painting contractor. In order to proceed – in either case – Knox Museum needs to raise between $25,000 and $50,000 by May 1, 2017. Why should you care? Montpelier is recognized by the National Register of Historic Places as worthy of protection, and your support. If you believe that keeping the Montpelier landmark in decent repair benefits not just Knox Museum’s ability to survive, but also protects the legacy of patriot, veteran, statesman, and local resident Henry Knox, and builds pride in our community, strengthens the cultural landscapes that sustain us, and ensures that our children will remember where they came from, then please, join the Knox Paint Brigade!